these will go up in the shop sometime today. there are between 3 and 7 100 yd skeins of each colorway. 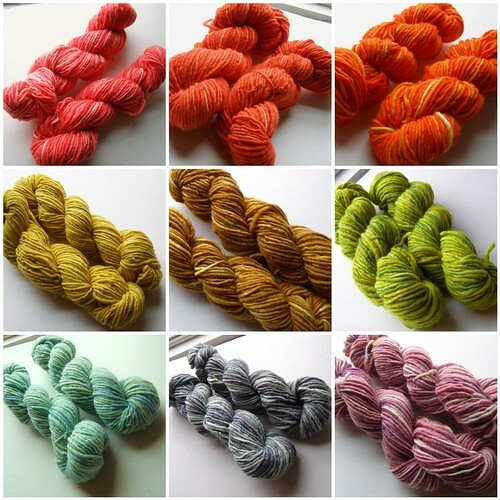 This entry was posted in cosyknitsliterally, cosyspins, dyeing, update by cosymakes. Bookmark the permalink. Beautiful yarns, I love the variegation. Do you think this would be thick enough for your Croci sweater test knit? Seems like maybe I’d get 4st/in if I went up in needle size! those colors sure are fantastic – and anything called rainbow chard is tops in my book!